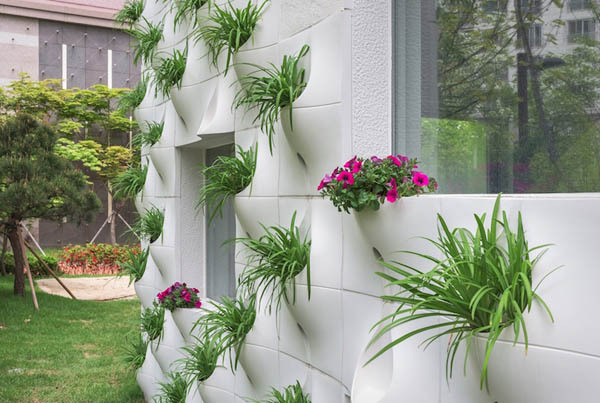 What you can do if you want to decorate the exterior house with plants but don’t want to have vine crawling everywhere? 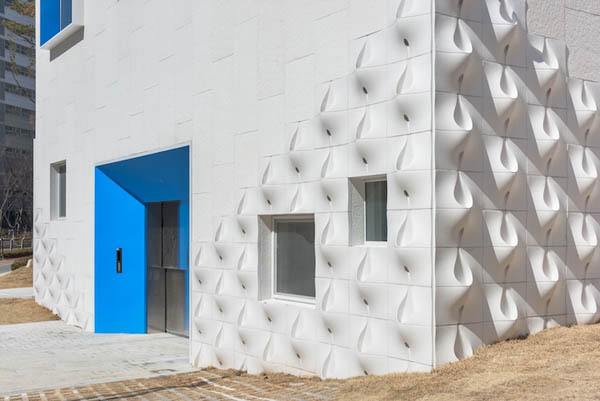 OA: Lab did something smart and unconventional when design a dwelling in Seoul, Korea. 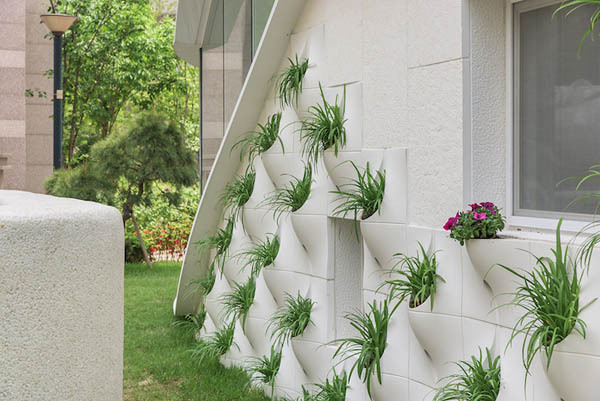 They ingeniously integrated nature into the structure’s façade – making plant pots embedded exterior wall. 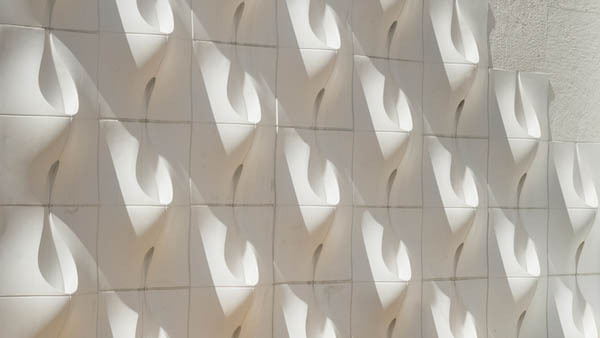 Generally, they use glass fiber reinforced concrete to form a series of bulbous, tear-drop shaped pocket panels. 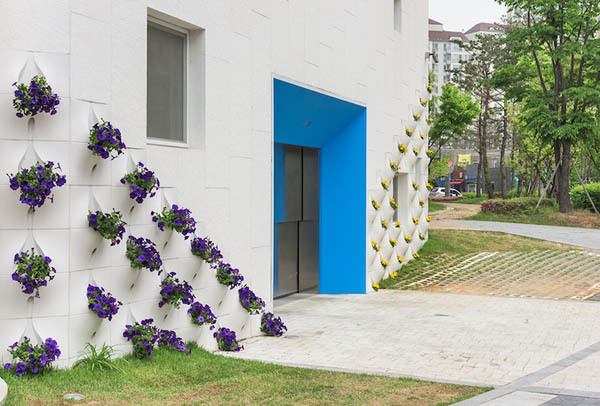 Each pocket features a wide opening—which allows the flowers to flourish—that then tapers to a triangular point. 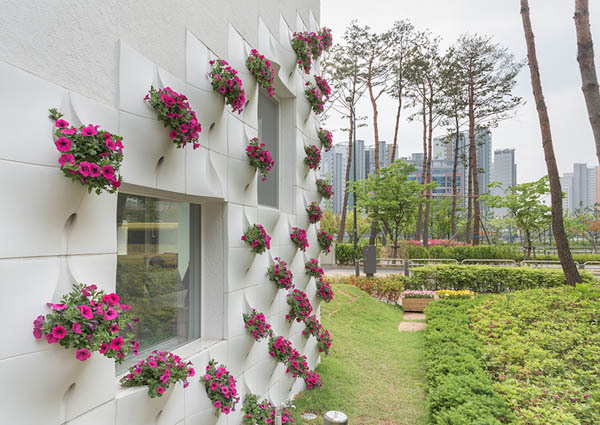 A variety of blooms can be planted in these panels, and their neutral coloring is a gorgeous contrast to natural green, pink, and purple plants.